I've been wanting this book since I first came across it in BBAW! It sounds fabulous, doesn't it? This book is good. I wrote a review on my blog iamalivephotos.blogspot.com. You should definitely have this book at the top of your list. Cool site. Keep reading alive and thriving. I've heard good things about this one! I'd like to read it too. I had to read TSL in high school and remember hating it, just hating it (and I loved reading then too!) I wonder if schools might think about an updated version that the kids might be able to relate to more. We did that where I work with The Great Gatsby; this year we are reading a book called Jake, Reinvented instead. Same plot as TGG, but takes place in high school. Interesting to think about. 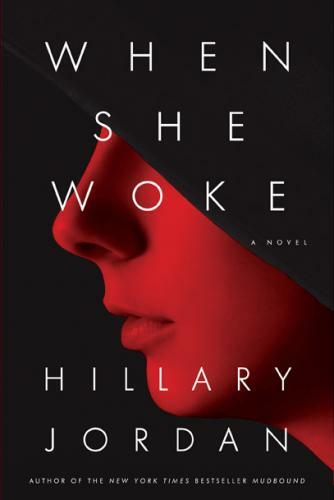 Hope you do a review of When She Woke! Kyle: It was a hard one to plow through! My high school read King Lear when I was in 11th grade, and it wasn't my favorite assignment. I plowed through it, though. Then, afterwards, we read A Thousand Acres by Jane Smiley, which is a modern re-telling. I loved that book. However, I don't think I would have appreciated it as much if I hadn't read all of King Lear...so I think that modern updates on classics are fun and a good tool to get kids into them, but I also think it's important that they not replace the classics. oh this looks so so great. The Kindle versions is only $3.28! Kindle version for about $3.00? Sounds like great gifts for friends for Christmas! Thanks for letting us know about this price! I've heard amazing things about this book. I loved The Scarlet Letter when I read it in university and I can't wait to read this one! Hi! I've been following your blog for a while, as I'm a teen services librarian in a public library. I was hooked by the book's opening lines, and couldn't put it down for the time it took to tear through the story. I loved it!